Shahrukh Khan was born in New Delhi, 2 November 1965. Born of a Muslim family, Shahrukh means "face of the King". His father, Taj Mohammed Khan, was an Indian freedom fighter. While his mother Lateef Fatima, an adopted son of General Shah Nawaz Khan. Shahrukh Khan to Undergo S-1 in college majoring in economics at a university in India, and S-2 communications at an Islamic university in India. Debuting as an actor since he was attending college. Born with a name that means the face of the King, Shahrukh Khan was apparently managed to become one of the famous people Worldwide. He also became one of the celebrities who always glorifies friendship. In India actually many celebrities who have the surname Khan, like Salman Khan, Aamir Khan and Saif Ali Khan. However, only Shahrukh Khan is likely to become an icon of Bollywood. Entertainment program E! Shahrukh Khan had put in a row of 101 Hot bodied man. Time magazine named Shahrukh Khan in a series of 20 Asian Heroes under the age of 40 years. Not to mention the views of titles acquired in non-formal as King of Bollywood, The Tom Cruise from India, King Khan and so on. Khan is a figure that can represent the success of the previous generation figures replaces Bollywood, Amitabh Bhachchan. According to Shahrukh Khan, if examined further and her father's family came from Afghanistan. Since childhood, has not dawned that her life will be successful if a career in the entertainment world. Shahrukh Khan's interest in acting began to emerge as he attended Mass Communications at Jamia Millia Islamia University. He emerged into the entertainment industry began around 1988 while starring in the television movie titled Fauji. Since then, Shahrukh Khan began to appear frequently in television movies including Circus in 1989. Shahrukh Khan began starring in feature films circa 1992 in a movie called Wan. Shahrukh Khan's first film was a box office and catapulted into the ranks of the name of Shahrukh Khan Bollywood actors are taken into account. Until now no less than 67 films have starred actors such as Kuch Kuch Hota Hai, Mohabbatein and Rab Ne Bana Di Jodi. Shahrukh Khan is not just an actor or director. He has become a legend of Bollywood films. Until now no less than 59 have been achieved including awards from the Filmfare Awards, Star Screen Awards, International Indian Film Academy Awards, Zee Cine Awards, Bollywood Movie Awards, Global Indian Film Awards and Apsara Film & Television Producers Guild Award. But when asked the key to get success, Shahrukh always mention the two most important things, work hard and keep friendships. Hard work is touted as. key often even ask the victim to her own body. Shahrukh not uncommon to experience pain due to an accident while filming. Not long ago he had an accident while filming his latest movie, DON 2. My Name Is Khan stars must perform stunts using a cable. Unfortunately, Khan fell and hit the ground, causing his back and injured his elbow. Although wounded, Khan 'stubborn' to continue filming, producing bitter fruit the next day. Khan reportedly suffered severe pain due to an accident filming, until he could not attend the training session for his performance in the Global Indian Film and TV Awards. Friendship is the key to another of his success. Through friendship, Shahrukh Khan was able to develop his career. He was not only involved in one house poduksi course, but also some production houses. "I will never be able to pay what they (fans) do for me. They have given me love, "Khan said some time ago. Thus, Khan always interpret a variety of things that could improve human relations. However, it does not mean Khan flawless perfect man. In the course of friendship relations, Khan apparently had had "enemies". He was never hurt the feelings of actress Aishwarya Ray. Khan mercilessly Ray ejecting from his production house a few years ago. 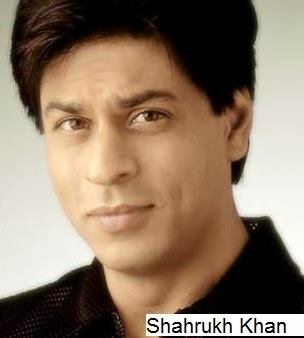 Shahrukh Khan is touted scold with a sharp sentences. Even as quoted by Female First, Ray had vowed never to forget the incident. Their relationship get worse when Khan with his wife Gauri Khan decided not to attend the wedding Ray and Abhishek Bachan on 21 April 2007. After a psychological war years, the relationship with Ray Khan melt when met at Karan Johar's birthday party, the host of the famous in India, on Monday, May 25, 2009. In private life, including the Shahrukh open. While raising her two children, Aryan Khan and Suhana Khan he does not impose on one view, though he and his wife were of different religions. Gauri Khan is a woman who was born and raised in Hinduism. "Two of the teachings that we use to raise them," said Khan.